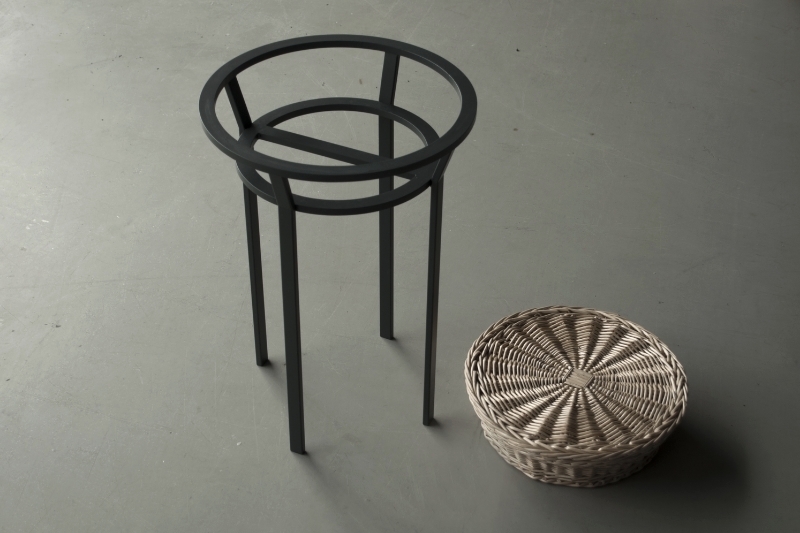 A stool made from rectangular steel profiles with a woven wicker seat. 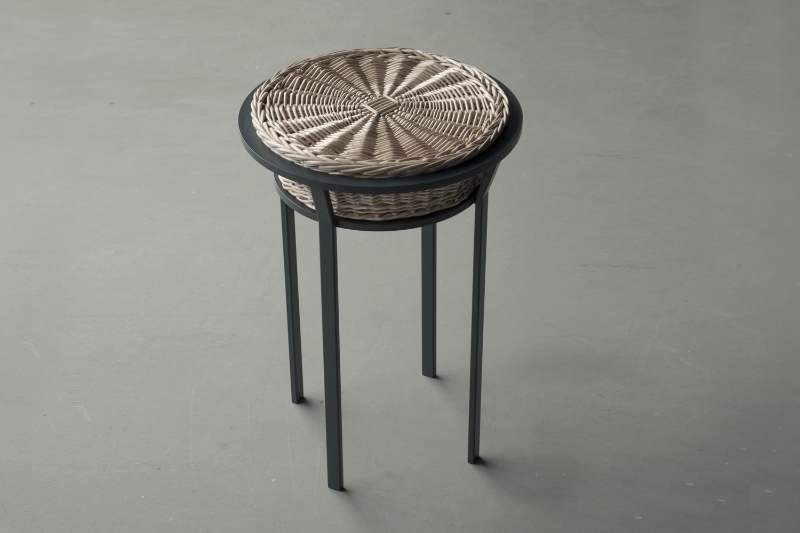 The seats woven structure allows the material to stretch when a person sits on it. 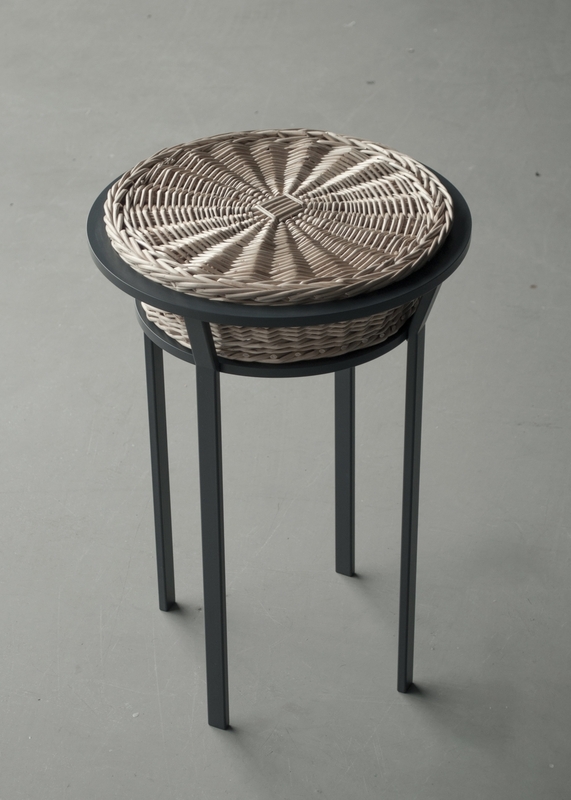 The “pillow effect” shows the elasticity and durability of the material when it is woven in a closed pattern. Context: bedroom next to a dressing table, dining room.